check. 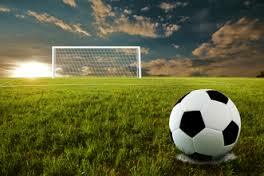 Players and coaches are covered by insurance for ALL soccer related activities. (cost is $9 each). Jerseys are re-usable for future seasons. 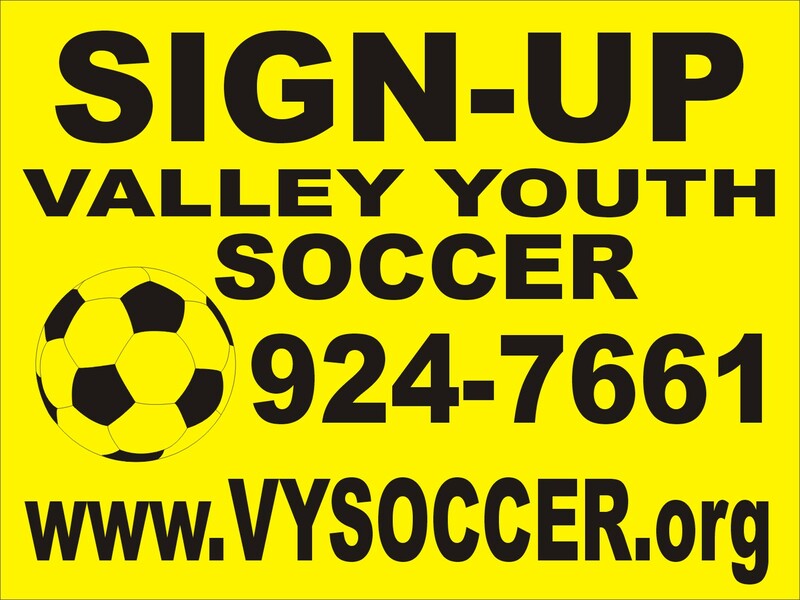 you may also use PAYPAL to valleysoccer@gmail.com (and then mail, email, or fax form). and introduce participation in team activities. Spring season includes approximately 7 or 8 games. schools or parks in the early evening hours (5:30-7:30pm). (3) by MAIL (9116 E Sprague Ave., #138, Spokane Valley 99206). and libraries (bright green or yellow forms). (4) or call us at 924-7661 and we will mail, email, or fax you a form. We try to make it easy for you to sign-up. EMAIL if you have questions about registration. Click "My Site News" (to the left) for the lastest info about our program. in the Spokane Valley and nearby communities. Our league is run by dedicated VOLUNTEERS. sport for them. A better soccer program... more soccer and less cost. More soccer, more games, less money! Our cost are much less than other programs. we have the support of local businesses to help keep cost down. We offer MORE games and MORE playing time for your child than any other program. cut. Paying higher fees for "professional training" does little good. rigid, inflexible rules... we do what is best for your child and the whole program. than forcing age rules. We also allow teams to continue year to year. with kids. We have FREE training clinics to help our coaches expand their knowledge. Club staff are available to help coaches with their teams. Help us by getting involved as a coach, volunteer, or team sponsor ! See the "My Site News" section for the latest events and news items. Forms for all events are located under the "handout" tab. (April and May). There are separate registration fees for these. with input from the team to find times that are convenient for everyone. Soccer shoes are NOT required, but recommended for better traction. "tennis" or "athletic" shoes (no metal spikes, protruding spikes, etc)may be worn. These items should be brought to each game and practice. Please let them know that you appreciate their support of our kids! (look under "divisions" to determine age groups). players) or larger recreational teams (9 to 15 players) are $400. jerseys, and a listing on our website, and a "link" to your website. Printing on the t-shirts is a standard lettering by our supplier. additional cost for the printing set-up fee. Contact us for the form to submit your request for sponsorship.